Obscure albums do pop up every now and then. This is one of those albums and as always I tend to be cautious when approaching them since there is a great chance of it being overrated. In the case of the one album wonder Polyphony the case is the opposite. And I'm glad to tell the tale. First off I have to say something about the complexity of the music. This is no-nonsense progressive rock, let me tell you. This is not some pop-rock album with a slight hint of prog, nor is it some west coast sounding harmony drenched album with a bit of unusual chordprogressions at the end of it all. This is serious progressive rock. 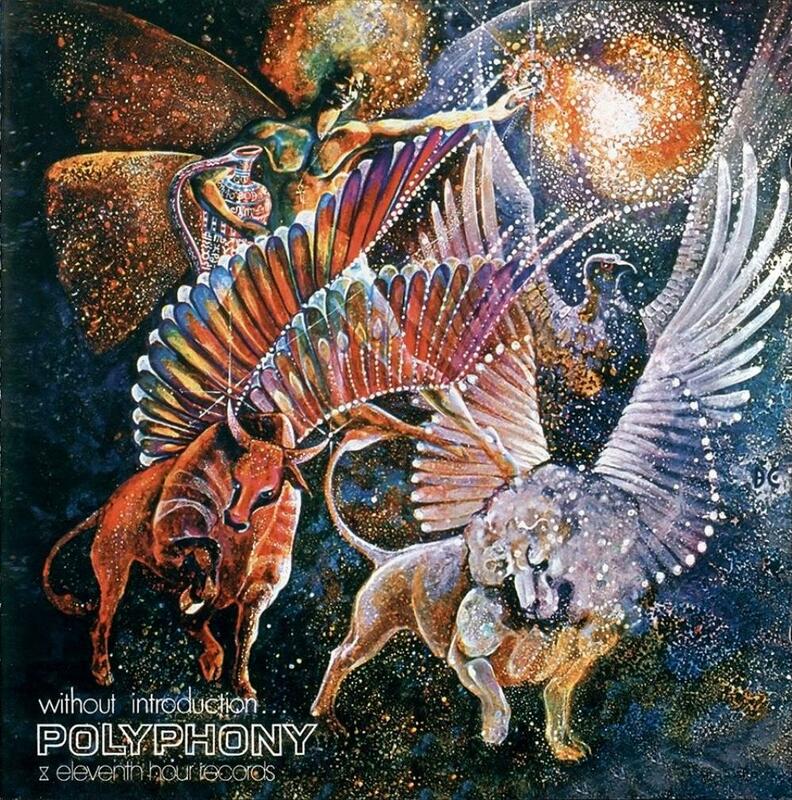 As far as the complexity goes I think of Gentle Giant and King Crimson, though Polyphony sounds nothing like those two bands. The sound is not entirely unique. I think of ELP at times because there are slices of classical elements in here but furthermore there is a rawness and urgency to it all. The organ is abrasive in a good way and the guitar, bass and drums are really intense. There are only four tracks on the album. Apart from the odd "40 second thing in 39 seconds" the tracks are majestically elongated. The shortest of the remaining three is 7.05 minutes. The longest is "Ariels flight" which is divided into several individually named sections and this is my favorite on the album. The musical experience is really dense and intense throughout the album, which makes it such a joy to listen to. There are no less interesting bits. It's pure bliss. I wish they had released another album and if the rumour is true they did but it got shelved and never released. Hopefully someone somewhere will release it properly. This is a magnificent album that is simply too good to pass by.